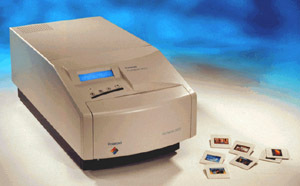 We are a service bureau, providing high quality 35mm and 6x7 photo or graphic presentation slide output, delivery to most of the countries around the world. We are willing to communicate with our customers, giving them suggestions and providing them excellent results. Tips on preparing your files. Limited free sample is available upon request. Scantips - Some useful tips on scanning. We accept payment by credit card through Paypal. Copyright 1998, 2015 by Accura Digital Imaging.